Submitted by Migrate Wizard on 2014-07-15 13:08. Level Range This depends on class in single player and also no of players in multiplayer. You start in the northernmost fishing village of Lonelywood, one of the Ten Towns in the region. A new leader has risen among the barbarian tribes, uniting them and threatening to sweep across the Ten Towns, levelling all they come across. A mysterious barbarian shaman, Hjollder, has sought you out, hoping that you will help him to stop the tribes from going to war. Only through uncovering the secrets of the frozen north can you hope to forestall the imminent invasion... Features # Starting at around level 20 (single player), HoW will take you into the newly added Epic levels. # A henchwoman to help you on your journey, whilst at the same time adding to the story herself. # 26 areas, ranging from frozen mountain passes to barrows of the undead. # Fully scripted for both Multiplayer and Single player. # Dozens of new custom items. - Based roughly on the Icewind Dale Expansion of the same name. This is not connected with temple of the dragonriders.. there is another module of the same name that is instead linked to it. - critters description - none. - ice golem sentries were neutral towards me, if they were supposed to be attacked then there should be conversation that would end in them becoming hostile. If anyone got the walkthrough mentioned in the readme(from the website), it would be nice to upload it too. Since Heart of Winter is "based roughly on the Icewind Dale Expansion of the same name", there's no other walkthrough than those, which were written for the expansion. Prepared by an experienced NWN module builder Glenn Pudney, the module is a very nice, short story (around 6-10 hours depending how you play it) set in an believable icy landscape: you can expect a village in the woods, caverns, barbarian camp as well as snowy no-mans-land and cemeteries. 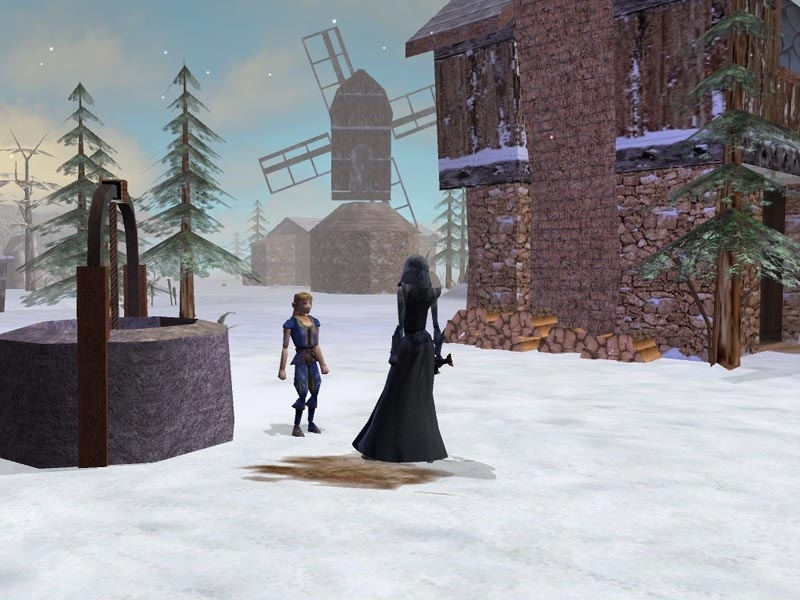 Interestingly, locations and storyline are based roughly on Icewind Dale's addon Heart of Winter... I vaguely remeber playing this module as expansion of ID with 2D graphics and I am inclined to say this version is better than the original (btw. pity there is no remaking of original Icewind Dale as NWN module :)) Anyway, I think you can even use the original "ID: HoW" walkthrough if you want to peer into quests and their outcomes! I enjoyed this mod, and wished it was a bit longer! (I took one point off for the abrubt ending, but still had some good hours.) Great job! An okay short module, a little lacking in direction. This module I would grade C+ on a A to F scale. It is certainly not a 9 out of ten. That is Swordflight or Honour Amongst Thieves territory. I liked this mod but kept getting stuck in various areas, not the best pathfinding. A familiar take on the old Icewind Dale II tale, well done.